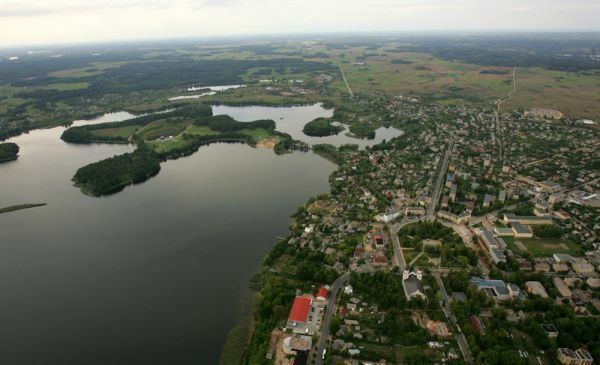 Zarasai () is a city in northeastern Lithuania, surrounded by many lakes and rivers: to the southwest of the city is Lake Zarasas, to the north – Lake Zarasaitis, to the southeast – Lake Baltas, and the east – Lake Griežtas. Lakes Zarasaitis and Griežtas are connected by the River Laukesa. In Polish, the town was known since the first third of the 16th century as Jeziorosy, from jezioro meaning lake . In 1836, the town was renamed to Novoalexandrovsk in honor of Tsar Nicholas I's son Alexander. This name was maintained until 1918. From 1919 to 1929, in the newly independent Lithuania, the town was called Ežerėnai, from ežeras, the Lithuanian word for lake. The Yiddish name Ezherene is derived from Ežerėnai. The current Lithuanian name Zarasai was adopted only in 1929. Zarasai holds the record for the highest recorded daytime temperature in Lithuania of 38.5 °C (2014). A few music festivals are held in Zarasai in summer. Such as: Mėnuo Juodaragis, Roko naktys. The exact date of the city's foundation is unknown, but a date around the turn of the 15th/16th centuries is generally accepted and 1506 is the official date of foundation. At that time a manor stood in the present town’s territory, and a monastery and church on Didzioji Island in Zarasas Lake. The settlement was located on one of the largest ancient trade-routes from Riga to Pskov. The terrain itself was one of the domains of the diocese of Vilnius from the 14th century to the 18th century. Zarasai manor was mentioned in written sources at the end of the 15th century and in 1522 Zarasai was recorded as a small town. In 1598 Zarasai was termed a volost. In 1613 Zarasai was marked on a map of the Grand Duchy of Lithuania, with the place-name written in Polish as Jeziorosa. By 1669 the town had a population of over 300. There were craftsmens' workshops and an inn, a network of streets and main roads to the nearby towns. However further development was obstructed by wars, diseases and fires. The Great Northern War and the plague at the beginning of the 18th century caused great damage to the small town and its citizens. According to an inventory of 1721 there were only 100 people living in the town, and the craftsmen did not develop their activities. The first Orthodox church of the Old Believers was built in Barauka, Zarasai, in 1735. Significant growth occurred during the second half of the 18th century, when a school and a customs agency were established; the agency issued permits to sell flax in Riga. In 1795 after the third partition of the Polish-Lithuanian Commonwealth, Zarasai and nearby territories were taken by the Russian Empire. Zarasai manor and the town were given to Vilnius Guberniya. Zarasai was on the road between St. Petersburg and Warsaw, construction of which began during the first half of the 19th century. The section from Zarasai to Kaunas was built in 1830-1836, which increased the commercial importance of the town. Despite several confrontations between the Tzar’s army and rebels near Zarasai, and a disastrous fire of 1834 that burned down practically the whole town centre, the population grew and the rebuilt town rapidly developed. In 1836 Tsar Nicholas I of Russia visited the town and was so impressed by the wonderful landscape that he decided to rename the town in the name of his son Alexander. As there were a few towns in the Empire named Aleksandrovsk, Zarasai was renamed to Novo Aleksandrovsk and was so called from 1836 to 1918. At the same time a coat of arms was granted and Zarasai County (Zarasai County covered an area of 7223 sq.m. 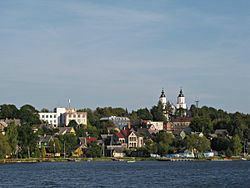 in 1897), formed out of a part of Braslaw County, was attached to Kaunas Governorate. In 1837 the centre of Zarasai was rebuilt to a new plan, with a central horseshoe-shaped square bounded by a road, from which a network of streets radiated. 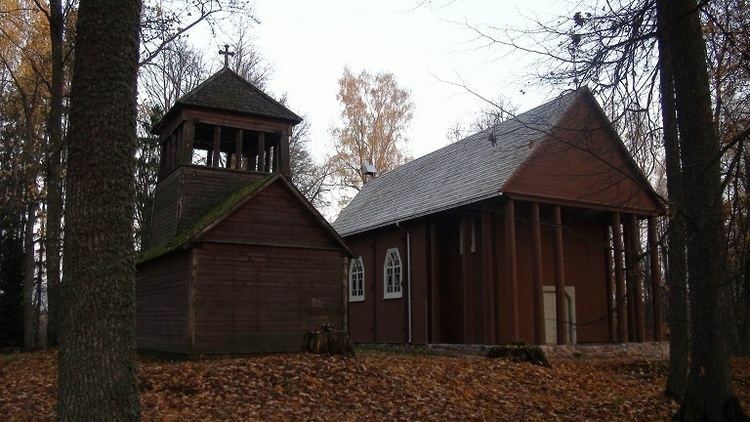 The intention was to prevent major fires- Zarasai is the only town in Lithuania which has such a plan, which has remained without any major changes. Zarasai was liberated from the Bolsheviks at the end of August 1919, and in that year a Lithuanian name, Ezerenai, was given to the town. Since linguists discovered this name to be of Selonian origin, the name was changed in 1929 to Zarasai. In 1924 a territory of Zarasai county was finally approved; public offices of the independent Lithuania were developed in the town. During the period of independence Zarasai was an important summer resort for holidaymakers who came from all over Lithuania. On August 26, 1941, 2,569 Jews from Zarasai area were murdered near the village of Degučiai by an Einsatzgruppen of Germans and Lithuaniens collaborators. In 2010, the Zarasai Region became one of the European Destinations of Excellence.